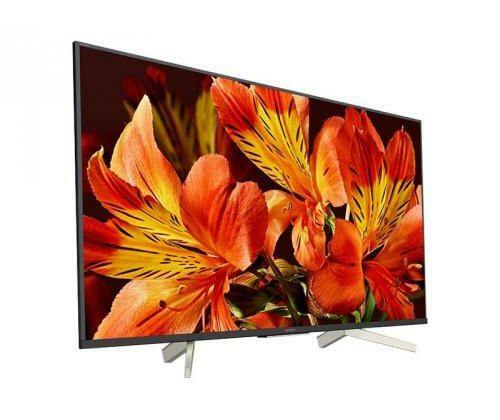 This slim, energy-efficient FW-43BZ35F BRAVIA professional display combines bright, beautiful 4KHDR image quality with easy operation, flexible networking/control and extensive integration options. The display’s intuitive built-in software platform broadens control and customisation options even further. It’s easy to create attractive digital signage, mixing media files and online content with no need for additional player hardware. There’s also a wide range of APIs (Application Programming Interface) options to enable remote control/monitoring and integration with external systems. The FW-43BZ35F is ideal for a wide range of business and educational environments. Applications include meeting room displays, information displays for lobbies and waiting rooms, digital signage, classroom displays, hotel guest room TV, security camera monitoring, guide displays for showrooms and museums, and information displays for sports stadiums, arenas and live venues. Optimised for professional use – The display meets the needs of a wide range of business applications, with flexible installation options plus wired and wireless network connection and serial communication control. Versatile remote control – Control BRAVIA remotely – including on/off, input signal select and adjust volume – over IP via RJ45RJ45 interfaceNetwork capability of a projector usually refers only to management and control. Using the RJ45 interface, data can be read from the projector (such as lamp hours) and a user can also access the projector menus. Most manufacturers provide software which allows multiple projectors to be simultaneously controlled and monitored. The transfer of content is only available in a few models and provides rather slow transmission so only simple content such as image files (jpg format) can be transmitted (see also Epson Easy MP). by web API or via RS-232C. Flexible mounting and installation – The display offers flexible mounting options (vertical, tilt and table-top), with VESA standard mounting for easy integration into a wide range of environments. Quick set-up with Pro Mode – Customise and store display settings and features, then copy them easily to multiple displays via USB flash memory. Pro mode enables a detailed customisation for a variety of setting menus, which are available to meet your specific usage requirements. One-step setting optimised for signage and meeting rooms – This tool instantly completes the necessary settings to optimise the signage or meeting room used. In-built software platform – Powerful processing capabilities broaden control/customisation options and reduces total ownership costs. Easily create digital signage – Integrated support for HTML5 makes it easy to produce compelling digital signage, with no extra hardware or prior training needed. Combine graphics, text, 4K video and live web content to create attractive signage in minutes. Open API support – Compatibility with a wide range of web APIs broadens options for remote control/monitoring and integration with external systems. 4K image resolution (3840 x 2160 pixels) – 4K offers four times the detail of Full HD, with a resolution of over 8 million pixels bringing extra clarity to corporate display, education and digital signage applications. Clearer, more natural 4K images – Images are clearer, smoother and more natural with Sony’s 4KX-Reality™ PRO picture processing technology. Advanced noise reduction techniques and a special pattern database ensure that every scene is packed with lifelike detail. Very high brightness and contrast, ideal for HDR – The high brightness, high contrast panel outshines other displays. It’s ideal for presenting 4K HDR (High Dynamic Range) content, revealing subtle detail in the brightest highlights and areas of dark shadow. Smooth, fluid on-screen action – Motionflow XR 960 ensures smoother, more natural reproduction of rapidly-moving images on screen.